The cutter pumps of the series SXC are designed to handle low alloyed steels, machining steel and cast iron / aluminum combinations. Chips can also be in the shape of birds nests or chip bundles. The chips must be supplied to the suction mouth of the pump. The chips are being picked up by the agitator then broken up, if necessary, and then cut and delivered by the pump. The SXC pumps are equipped with the user-friendly 45 degree flange connection which allows for either vertical or horizontal pipe connection and the connection of a pressure gauge with G 1/4. 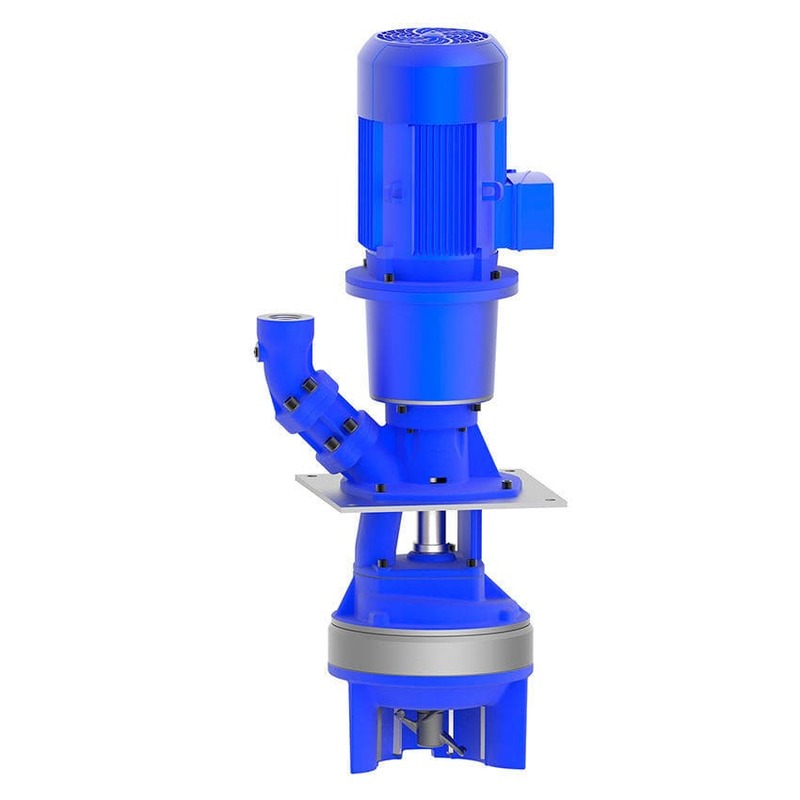 For more information see lifting pumps features SXC/SPC within the technical information section.